The top (or bottom) N rows of results based on specified criteria. The top (or bottom) N percentage of rows based on specified criteria. These results either with or without ties (more than one row has identical criteria values). Sample rows arbitrarily without regard to rankings or order. * TOP N where N is an integer up to 18 digits in length. Below are the options with TOP. Even though TOP 5 is specified, six rows are returned. Because there is a tie for the fifth position, both rows are returned. This only occurs when WITH TIES is specified. WITH TIES returns multiple tied rows when there is a tie for the 'last' position. It will return all rows containing the 'tied' value, but it will only count it as one row. Tied rows which are not in the last position, are each counted separately toward the N total. The same result could have been retuned by specifying TOP 6 without the WITH TIES option. Now, consider getting the rows at the bottom of an ordered list. This is accomplished by using the ORDER BY clause. Show the bottom three employees by salary. 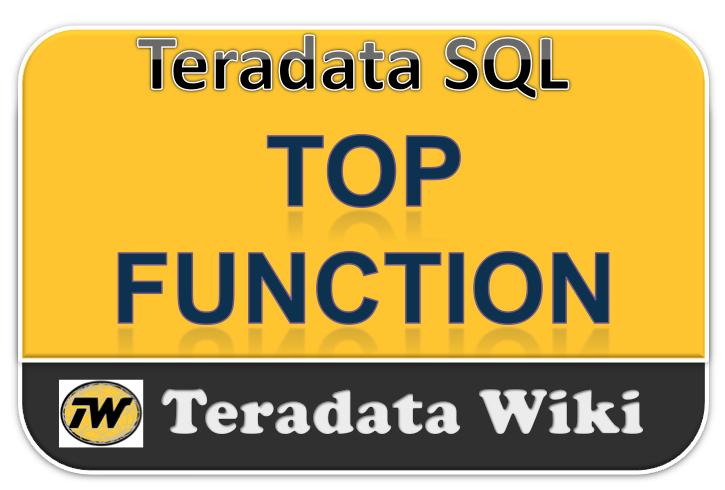 The TOP N function may also be used to return unordered rows. This is accomplished by using TOP N without including an ORDER BY clause. The TOP N function can also produce a percentage of rows in addition to an absolute number of rows. Return employees whose salaries represent the top ten percent. 10% of 26 rows is 2.6 rows rounded to 3. PERCENT must be a number between 0 and 100. At least one row is always returned (if there is at least one row in the table). TOP n processing also permits the value of n to be passed into the operation by means of a parameterized macro. Create a parameterized macro which shows the top n budget amounts. Using the macro, show the top five department budgets.